VESDA (an abbreviation of Very Early Smoke Detection Apparatus) is a laser based smoke detection system. The name VESDA has become a generic name for most air sampling applications. The name VESDA is a trade mark of Xtralis. 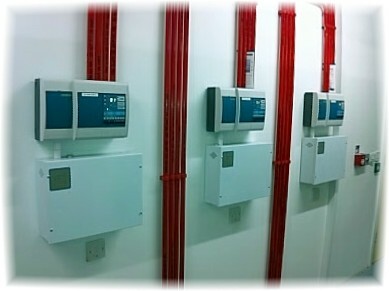 Having been operating within specialist fire detection applications for over 20 years, the VESDA system has a proven track record and has been developed beyond traditional fire alarms, to the point where it is recognised as the most advanced aspirating smoke detection system within the fire industry, holding more certifications than any other aspirating smoke detector in the world. Where can VESDA be used? 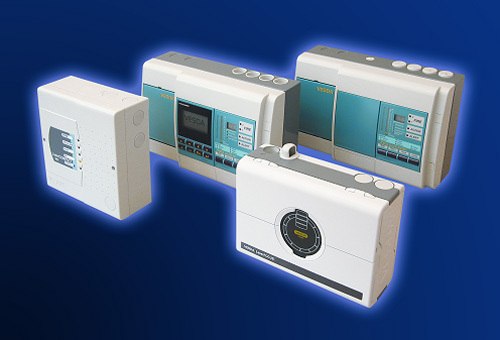 Simply, VESDA can be installed anywhere that a conventional smoke detector system can, but with greater flexibility. Where conventional systems have to be strategically placed to provide maximum protection, our VESDA systems can be installed in easily accessible positions as the system is complimented by a network of our high grade ABS pipe work. 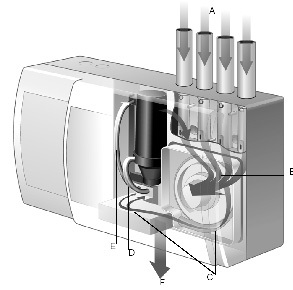 Additional benefits of using VESDA over conventional detectors are greater reliability and efficiency with features which include entire airflow analysis and ignition point targeting, with the ability to work alongside existing smoke detection and air conditioning systems symbiotically. Our VESDA installations are in the widest variety of environments thanks to the ingenuity of the design, these including ceiling voids, cold rooms, computer rooms, and warehousing. The benefits and details of which can be viewed via the drop-down list above. To ensure our systems are the best in the market we use the VESDA system extensively and have installed them in a variety of environments ranging from multi million pound electronic environments through to priceless archive vaults and simple warehousing. In addition to this we have developed and now manufacture our own highest grade ABS pipe work and fittings to compliment the VESDA range. All of which is available to purchase via our on-line ordering facility. VESDA detectors range from the VESDA LaserFocus range, through to the VESDA LaserCompact, VESDA LaserPlus to the VESDA LaserScanner.. Simply look to the VESDA tab from where you can easily access details and data pertinent to each system.